My name is Doris Risfjell. I was born in Vilhelmina. Before I worked in our own company Risfjells Samihandicraft I was a teacher for 17 years and 7 years as comissioner of Vilhelmina museum. 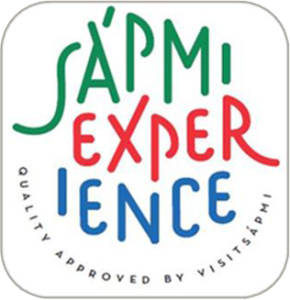 In our company we present the Lappish, Sami culture with handicraft, shop, guided tours and a Lappish, Sami museum. In the company I also use my creativity with my handicraft, music and weaving to share my thoughts about life and how the environment of South Lappland affects our lives. From my inner self to an external reality I use oil painting and weaving to share feelings and thoughts. Sven-Åke – In 1980 I decided to follow the dream I had since I was a little boy. Inspired of my Lappish inheritance I started my own company and begun to do samihandicraft full time. My first workshop I prepared in my familys garage at Storgatan in the old churchtown in Vilhelmina. 1994 I opened my shop in my family house next to the garage. My time was devoted to nothing else than handicrafting and running my shop. Doris – Even I let my childhood dream come through when I graduated as a teacher 1978. After that followed many years in a beloved profession. I also had some exiting years as director of Vilhelmina museum. There I met a samihandicrafter by name Sven-Åke Risfjell. 1996 “ A knock of the stars” That lead to Risfjells Sameslöjd growth from one to two worker. 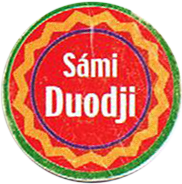 That gave new possibilities to provide the company to become the agency of samiculture it is today. We run our gallery as an extended arm of the handicraft. In our shop and gallery you can enjoy our own products, gifts, our museum with our own collection of old lappish/sami items and we also offer you information about the lappish/sami culture.